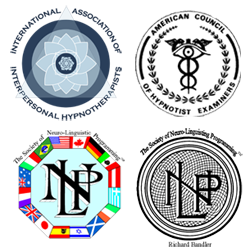 Hypnotherapy is considered to be a very sacred art. It has been used for centuries by the sages to enter into higher states of awareness. Hypnosis is the tool to help you access your subconscious mind. The subconscious mind is the gateway to the super-conscious mind. We can utilize hypnotherapy to help you access your higher wisdom. To help you tune into yourself as you truly are - a spirit. Using intuitive hypnotherapy, we can guide you to or further on your life's journey. Learning to relax the body so completely, followed by relaxing the mind, helps those achieve deeper levels of meditation. In these deeper relaxed states, we can learn and experience astral travel, outer body experiences and gain glimpses of that which our eyes cannot see. "Our physical eyes only see 3% of what really is around us." Imagine being able to expand your mind by learning how to turn inward to expand your inner awareness. As an intuitive, a student of spirit and life, I've learned that we are all intuitive. Most of us give our power away, thinking these special gifts are only for the few. The truth is you are a very powerful being, who most likely has many undiscovered strengths and abilities. 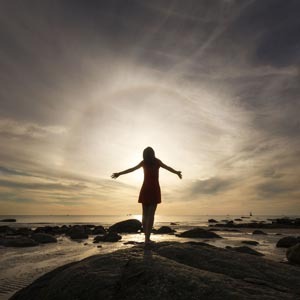 If you are looking to expand your inner wisdom, would like to learn how to develop your intuitive gifts, want to connect on a higher level, I invite you to a complimentary session to understanding how hypnotherapy can help you develop your Spiritual Self. If you would like to learn more about using hypnotherapy to further develop your spirituality, I invite you to give me a call to set up a complimentary session.